One of the benefits of celebrating the suffrage centennial this year is a wide offering of programs, celebrations, and of course, books to enhance our knowledge and enjoyment of the subject. Two new books about the woman suffrage movement are due out very soon, and both are worth waiting for. The Suffragents: How Women Used Men to Get The Vote, by Brooke Kroeger. (ExcelsiorEditions; State University of New York Press, Albany). The Suffragents tells the fascinating but little known story of the men who helped women secure the vote. 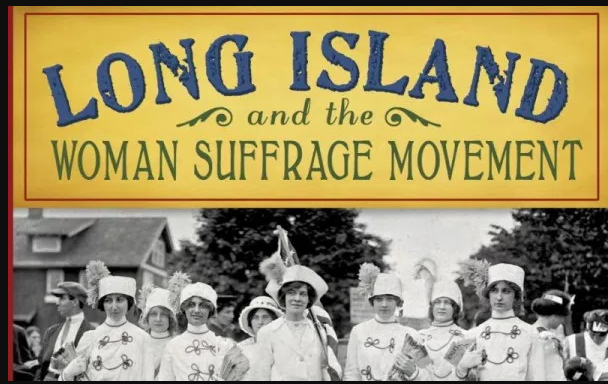 The Men’s League for Woman Suffrage was led by some powerful and successful men, including John Dewey, Max Eastman, and James Lees Laidlaw, husband of Harriet Burton Laidlaw of Port Washington, NY. Event: Book & Bottle, “The Suffragents,” at the Suffolk County Historical Society, Thursday, November 16, 2017 at 6:30 p.m.